Year-round: 8 a.m.-5 p.m. Monday - Friday, dependent on McGovern Library hours. 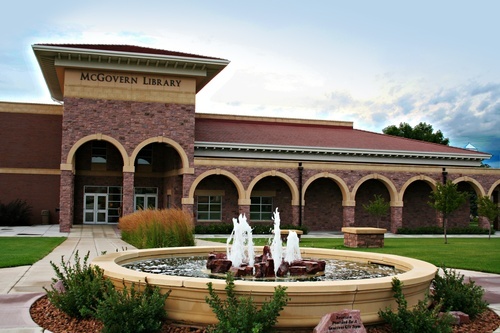 The McGovern Legacy Museum provides visitors a unique journey through the lives of two of Dakota Wesleyan University’s most recognizable graduates, George and Eleanor McGovern. The exhibit begins during World War II, and their years as leaders in the South Dakota Democratic Party. The 1972 presidential race is featured prominently, as is George McGovern’s continuing commitment to fight global hunger. 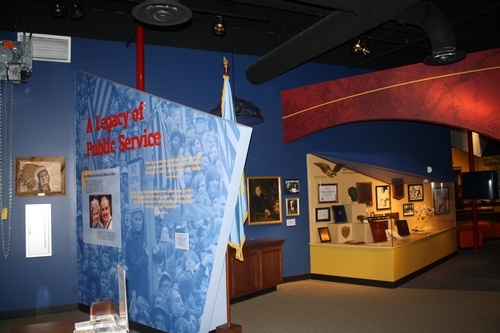 During the self-guided tour, visitors have the opportunity to view a variety of short films narrated by George McGovern. 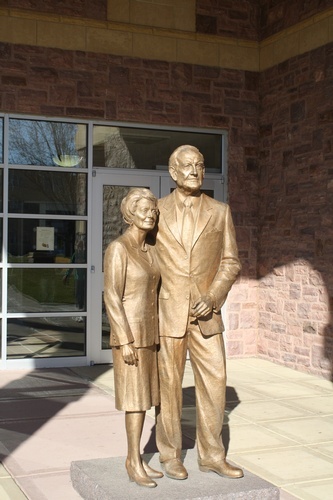 Experience a unique journey through the lives of two of Dakota Wesleyan University’s most recognizable graduates, former SD Senator George McGovern and Eleanor McGovern, from their young lives through World War II and George’s political career, their family life, and George’s current fight to end world hunger.